Vegas thinks this title is the Warriors' to lose. They're probably right. The rich got richer in the NBA over the past 48 hours. Over the past couple days, the Los Angeles Lakers and Golden State Warriors became part of an NBA arms race to sign the biggest stars they can get. 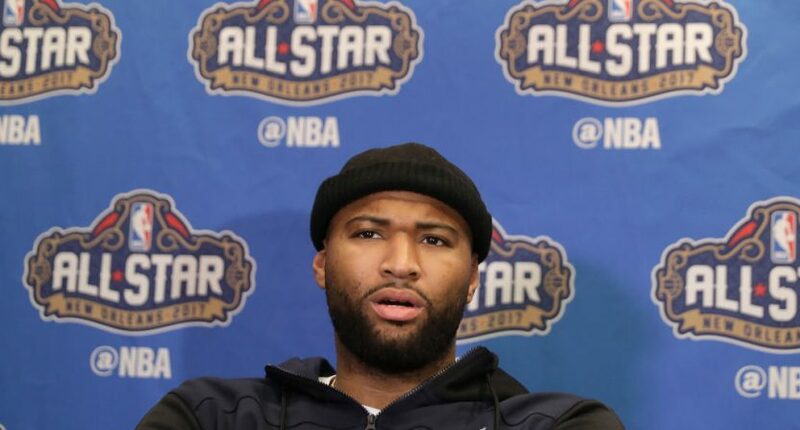 The Lakers got LeBron James and Rajon Rondo so the Warriors got DeMarcus Cousins at a highly reduced rate to stay ahead of the pack. Unsurprisingly, Vegas has the Warriors are overwhelming favorites to win the NBA championship. According to the Las Vegas Review-Journal, the Westgate sports book has the Warriors are listed at 2/3 odds, meaning you would need to bet $100 to win $66. Honestly, I thought that these odds would be worse. I mean, nothing is ever a guaranteed lock, anything can happen. But the Warriors winning three straight titles and winning four of the past five years is the closest thing to a lock in sports I’ve ever seen. If betting on the favorites isn’t your bag, the Celtics are second choice at 4/1 odds while the Lakers are at 9/2 and Rockets trail behind at 13/2. That kinda makes sense. While the Lakers may seem like the better team and nobody in the East has a shot, the Lakers path to the championship has to not only go through the Warriors but then the Celtics if they somehow got past Golden State. That’s why LeBron’s path to a title is going to be tougher with the Lakers than if he had gone to an Eastern Conference team like the 76ers. The Lakers definitely aren’t done with building this team, and they’ll be even better if they get Kawhi Leonard, but you still have to catch up to the Warriors and they aren’t going to let up. So, if you were going to listen to me for gambling advice (not sure why), still bet on Golden State. Maybe put a few bucks on the Lakers to hedge your bets but it’s Warriors all the way. Now, if it’s Golden State vs the Eastern Conference All-Stars, it might be closer. But still, go with the Warriors.